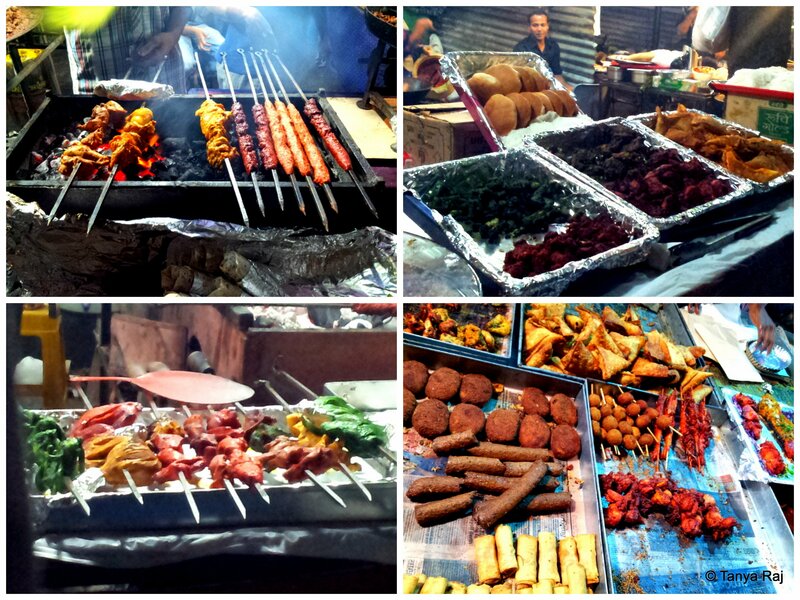 The turn at the curb towards Mosque Road in Fraser Town, brings along a whiff of myriad barbecue flavours. 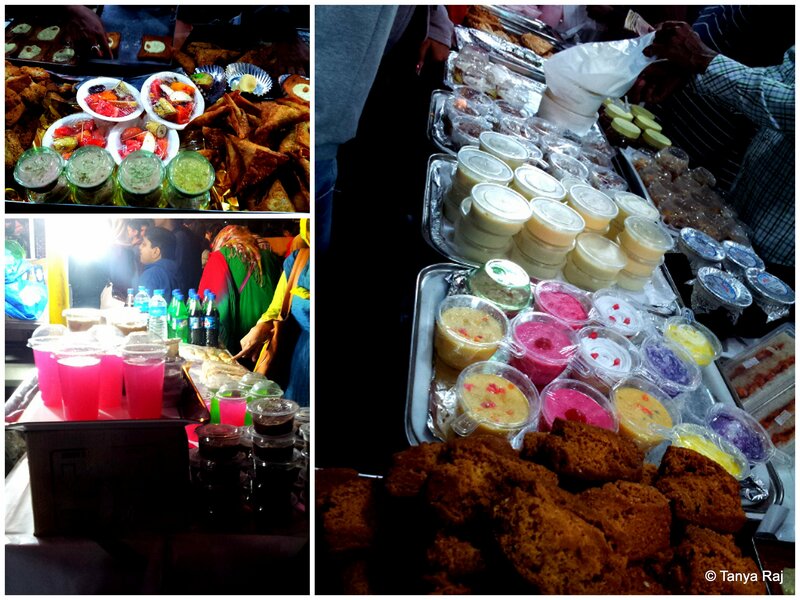 The road ahead is choc-a-block with vehicles honking to get past the market teeming of food connoisseurs and vendors. 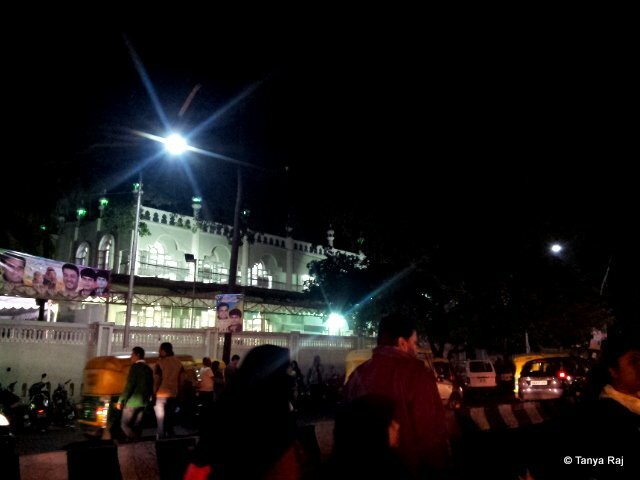 The mosque on the opposite side of the road, lets out a howl of prayers as another day in the holy month of Ramadaan comes to an end. 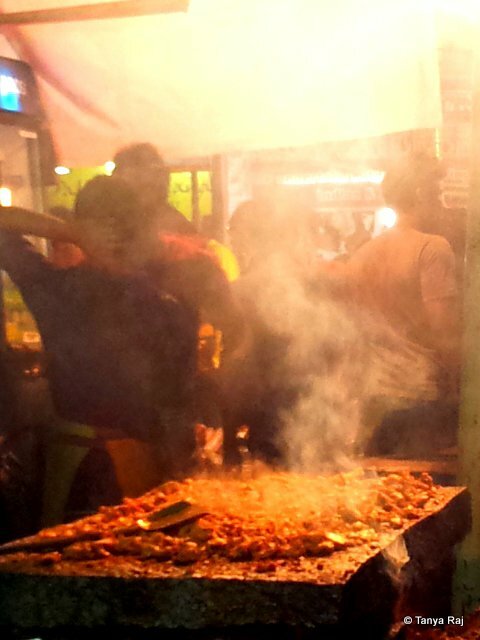 The end of prayers or Iftar, opened up the floodgates of saliva to the mouth-watering delicacies of this annual food market. 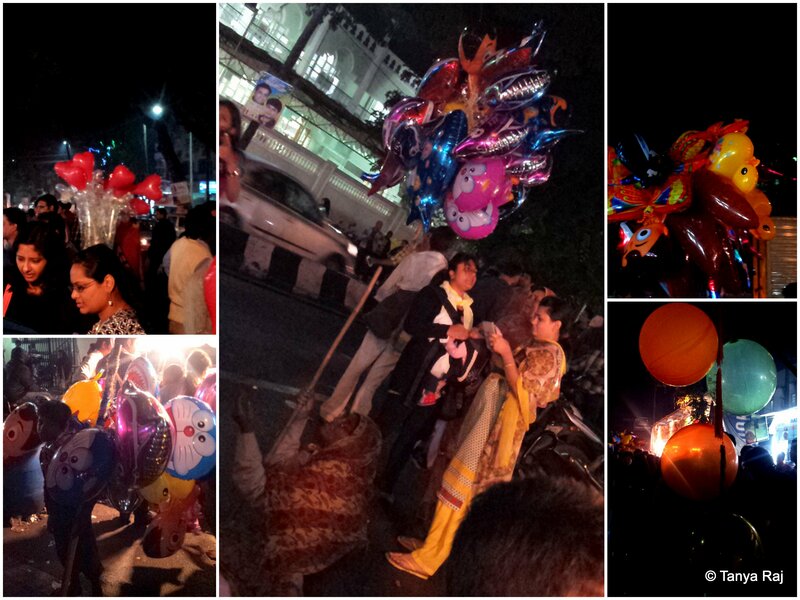 Under a rainy Bangalore sky, here is a glimpse of the sights and colours of this vibrant place. Even while the prayers were still going on across the road, the food market stalls had started teeming with people from all faiths to dig into the delicious fare, often home-made. Every faith teaches the same things – love, compassion, and surrender. 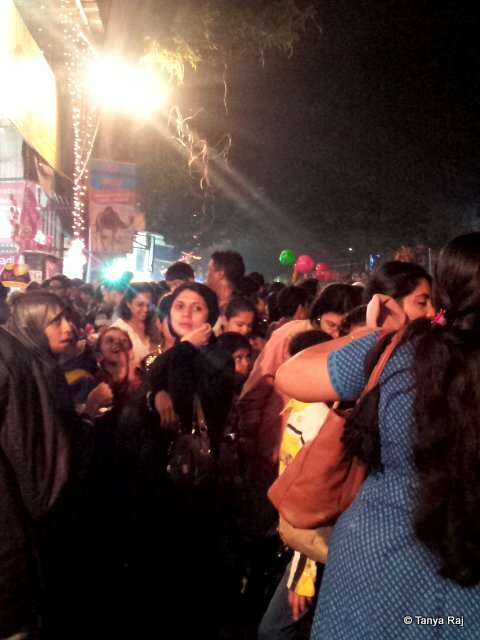 The very first sights as we entered the market – a mix of people, lights, fumes and various aromas. The waft of indian spices being cooked carries far and wide from this platter of veal kababs. This was the only menu item at this stall, but had the most number of people flocking to get a taste of it. Pather Gosh – literally translated is stone meat. 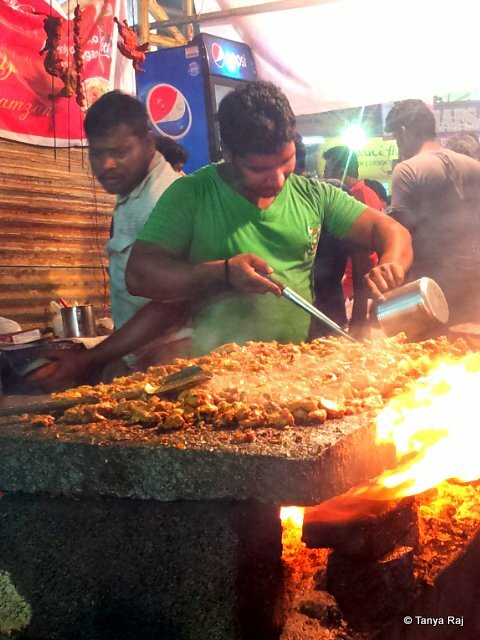 This gets its name from the large slab of stone the meat is cooked on over the burning flames of charcoal fire. Even though cooked in the most primitive form known to man, the meat itself is so soft that it melts in the mouth. There is something for everyone here. While the adults indulge themselves in the food, the kids run amok behind the colourful balloons that keep bobbing above the sea of human heads. 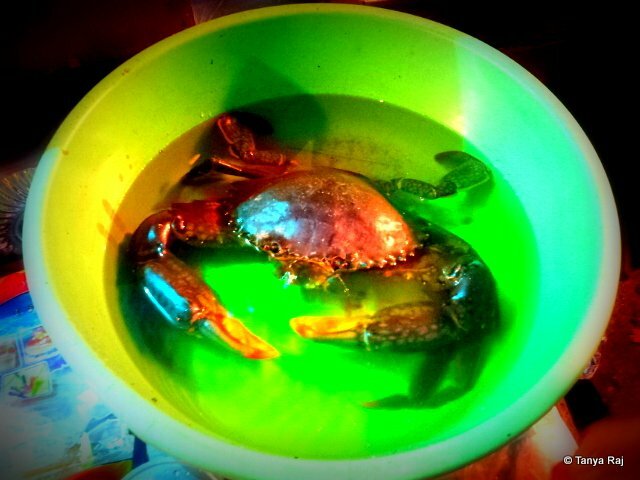 This is what the crab in the previous image might look in a few hours. Smeared in spices and surrounded by platefuls of Shahi Tukda. The Shahi Tukda was named after sweets prepared in the royal houses of the kings that ruled millennia ago. Originally a preparation of sweetbread stuffed with lots of dry fruits and nuts, this is more of a common man’s version of that royal delicacy. Here regular bread pieces are deep-fried and dipped in sugar syrup and then adorned with concentrated milk, which is infused with bits of dry fruits and nuts. 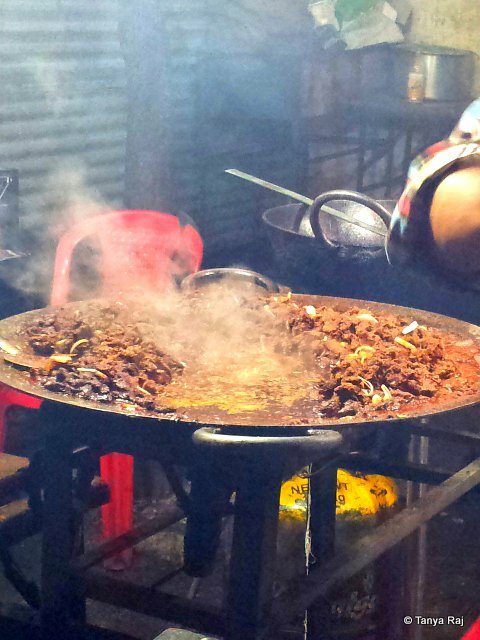 Kababs are an integral part of Ramadaan markets, but if you ask the masses around, most of them flock for samosas – triangular pieces of flour, stuffed with minced meat and deep fried to golden perfection. And of course no meal is complete without giving in to some sweet craving. 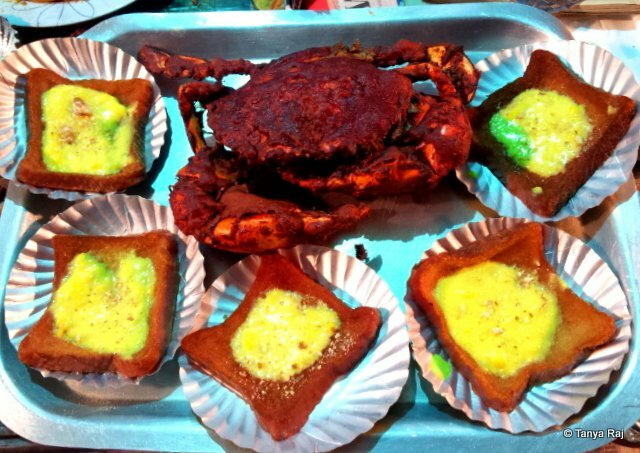 Being close to the coastal areas, also brings in a variety of seafood preparations, which might not be available at some other Ramadaan food markets around the country. 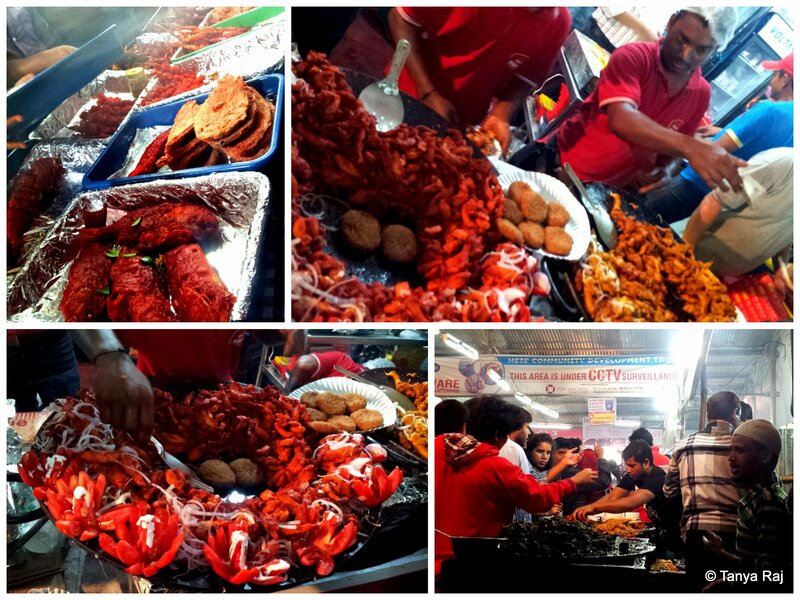 The almost vermilion, spices coated fishes and lobsters looked tempting but were a little too oily for the taste buds. Phirni – a ground rice and milk dish, has a texture to it like grains of sand. However, its the mild sweet taste that wins the heart. 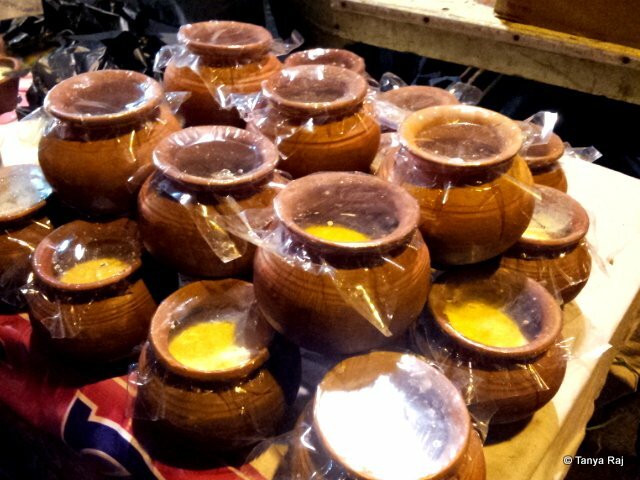 Served here in handmade earthen pots, these takeaway sweets were a hit among the crowd. 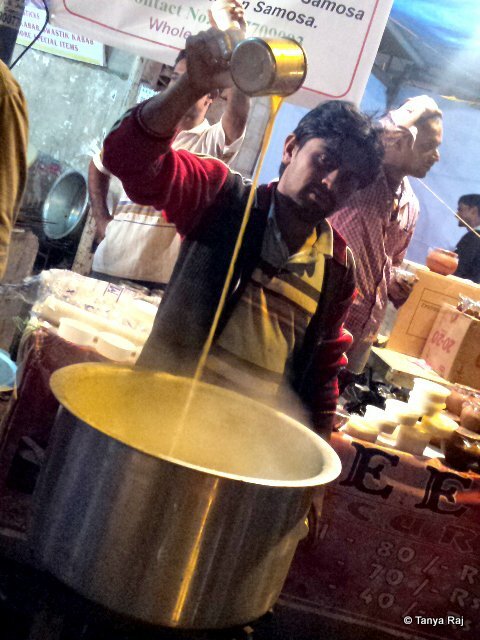 The milk is churned for hours with the ground rice and this man preparing the Phirni was more than happy to show me a few tricks for the camera on the art of making this sweet dish. Never mind the spellings, look at the variety of food available along this 1.5 kilometer stretch. The truncated text on the top of the poster says Beef Mela. Mela in hindi means a fair, and truly a fair it was! We had a wonderful 3 hours covering this one and a half kilometre stretch of the road, vibrant and alive, not only with people, but most importantly food!